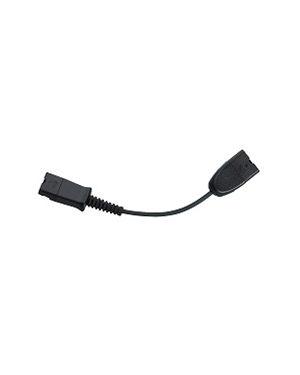 Plantronics 4 to 6 Pin Adapter Cable (EncorePro 500/700 Headsets to DA90) is a communication device that is used to connect Plantronics EncorePro 500/700 Headsets to Plantronics DA90 Adapter. 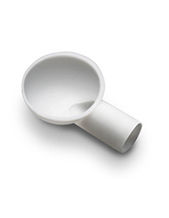 This device has been intelligently designed to support the communication and audio needs of all types of users. 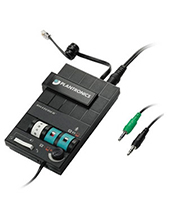 Plantronics 4 to 6 Pin Adapter Cable (EncorePro 500/700 Headsets to DA90) is able to provide users with complete audio experience in very call made. 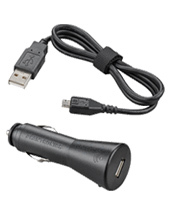 Give Headsetsonline a call today to have this device delivered to you. Call Australia wide 1300 131 133 right now! Plantronics, headquartered in Santa Cruz, California, and established in the year 1961, is a top-notch company that operates in the global market with the support of around 5,000 employees all around the world. It has gone a long way in industry and global market since its establishment. Plantronics started out with one goal in mind and that is to be able to produce and introduce lightweight headsets. The company was able to accomplish this in the year 1962 and was able to deliver its efficiency and expertise to the global market by being part of Neil Armstrong’s first setting foot on the moon. Considered one of the top-notch suppliers and wholesalers of business and consumer audio communication products and solutions, Headsetsonline Pty Ltd is the company that all types of customers go to when in search for headsets, headphones, and speakerphones to support them in their communication needs. The company has been under the management of a popular enterprise providing the same offers to government agencies and corporate sectors since the year 1998. Headsetsonline gets all of its products and solutions from Australian distributors and try to avoid grey imports as much as the company can. Through this simple choice, the company is able to guarantee that all of the products and solutions they offer are Australian standards certified. In addition to this, the warranties that come along with the products and solutions offered are covered Australia-wide. Headsetsonline is a customer-focused enterprise that offers flat shipping rates and enterprise-encrypted and secured site, Headsetsonline.com.au. The former offers customers with affordability while the latter protection and security.